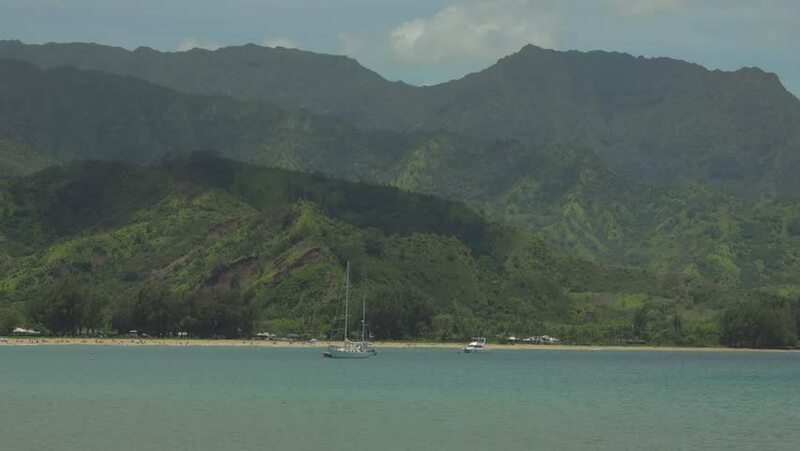 Hanalei Bay, on the Hawaiian island of Kauai, is shown in a daytime view, with boats in the foreground waters and green, lush mountains in the background. 4k00:16Kauai, Hawaii circa-2018, Aerial view of Ka Lae O Kaiwa. Shot with Cineflex and RED Epic-W Helium.